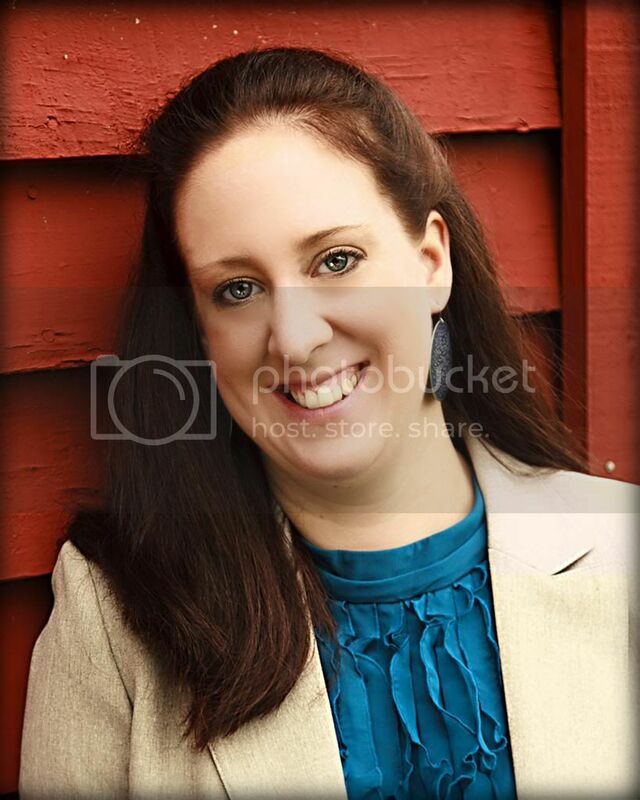 Laurie Ann Thompson is the author of Be a Changemaker: How to Start Something That Matters, a how-to guide for teens who want to change the world. 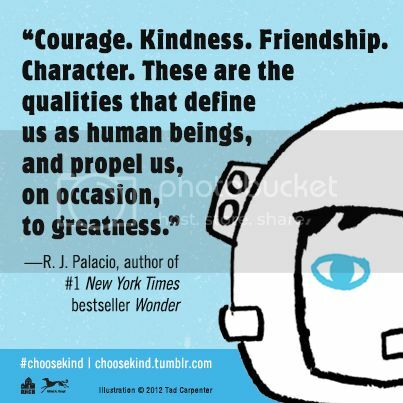 An advocate for social justice, Laurie is dedicated to inspiring and empowering young readers. Emmanuel’s Dream is her picture-book debut. Visit her at lauriethompson.com. Which also makes it the perfect day to share with you this story of not only diversity, but also plain ol’ hard work and strong spirit. Emmanuel’s Dream is the true story of Emmanuel Ofosu Yeboah. Today, Emmanuel is recognized as an athlete, an activist, and a philanthropist. His life (thus far, he’s only 37) has been made into a documentary (also entitled Emmanuel’s Gift), and he appeared on the Oprah Winfrey Show. But before all that he was a kid in Ghana. A kid who wanted to do what the other kids did, and a kid whose mother believed he should do what all the other kids did. While this book contains moments that will make young readers gasp in surprise, or make round ‘o’s of awe, what also comes through is how normal of a kid Emmanuel was. Don’t most kids like to play soccer at recess, or ride bikes with friends? What would you like to see children learn from Emmanuel? I want children to learn that they, too, can be brave, creative, and determined enough to go after their dreams, no matter what challenges they may face in their lives or what other people might tell them along the way. But we all know that picture books aren’t just for the young. What would you like to see adults take away from Emmanuel’s Dream? I hope adults take away that same message of empowerment for themselves, of course, but that they also understand the broader message of everyone having the potential to change the world. I think keeping that in mind would make us all a little more tolerant, a little more accepting, and little more supportive of one another. And that would be a very good thing. I love her responses. Have faith, keep working, and be supportive of one another. It does, indeed, seem like that would be a very good thing. 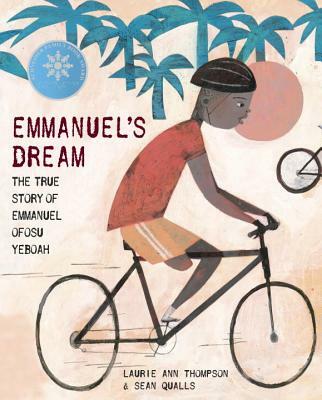 Thanks to Schwartz and Wade, ONE LUCKY WINNER will receive a copy of EMMANUEL’S DREAM: THE TRUE STORY OF EMMANUEL OFOSU YEBOAH by Laurie Ann Thompson, illustrated by Sean Qualls. (U.S. addresses only). Enter below by 11:59pm on Monday, February 2nd.